Integration with Thesaurus and One4All makes purchasing employee gift cards seamless. Thesaurus Payroll Manager now offers a facility where users can securely purchase gift cards for their employees. In 2015, the Irish government announced in the budget that employers could give a gift card of up to €500 tax free to employees. Under the small benefits scheme, both company directors and employees can receive a gift card completely tax free each year. The payment must be in a non-cash format with the most common method of paying this benefit in a gift card format. The small benefits relief is the amount that falls under a yearly small benefit relief and must not exceed €500 in any given year. Employees and employers can benefit from the small benefits relief which applies to a one-off benefit in any one year. If there is a benefit programme in place on an ongoing basis (for example €50 voucher four times a year) then the first voucher may be ignored and all the subsequent vouchers must be also taken into account as notional pay. Thesaurus Payroll Manager will track employer usage, per employee to ensure employers keep within revenue guidelines for the small benefits exemption scheme. The benefit cannot be cash, any cash payments or cash benefits are fully taxable. The gift card allows employees to receive a bonus or non-cash gift without paying PAYE, PRSI or USC on the amount (not exceeding a one time benefit of €500). The gift voucher must be purchased by the employer from the company funds e.g. company bank account or company credit card. The director or employee cannot purchase a voucher themselves and seek reimbursement from the company. Only one such benefit can be given to an employee in one tax year, even if you do not take the full €500. For example, you cannot take a voucher of €300 earlier in the year and take a further €200 later in the year. If a non-cash benefit exceeds the threshold allowance then the full face value of the benefit is subject to PAYE, USC and PRSI. The benefit cannot form part of any salary sacrifice arrangement between the employee and employer. When an employer rewards an employee with a benefit it is usually subject to income tax. However, gift cards can be purchased by employers as a once off reward or as part of an ongoing incentive for employees and it’s completely tax free. 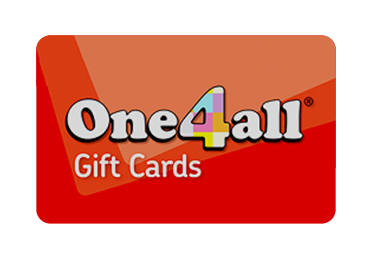 Thesaurus Payroll Manager customers can purchase gift cards directly from the payroll dashboard from One4All. There is no additional charges on Thesaurus Payroll Manager to avail of this facility to purchase gift cards. Purchasing gift cards in Payroll Manager is simple and straightforward. Thesaurus Payroll Manager will track gift card purchases so that you are alerted if you attempt to purchase more than one gift card for an employee in any one tax year. Only gift cards purchased through our integration with the gift card companies will be tracked. In addition, you will be prevented from ordering a card in excess of the exemption limit, i.e. €500. This integration will allow you to easily order gift cards saving you considerable time on data input. Thesaurus Payroll Manager can only handle gift card orders for those employees with PPS numbers but it should be noted that no PPS numbers, nor indeed any other personal information, are shared with the gift card companies. The only information transmitted is the information you see on the relevant Thesaurus screen. The last 3 characters of an employee's PPS number are used as a "works number" to distinguish between any of your employees who may share the same name.